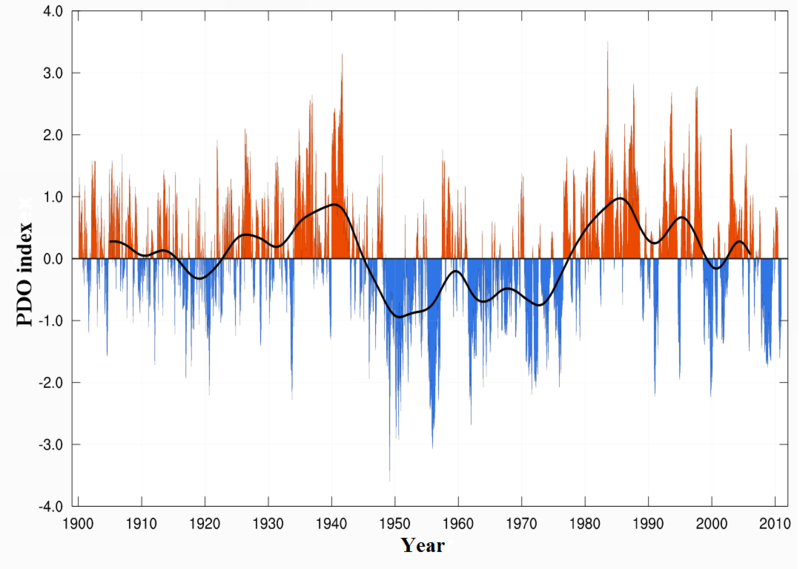 Local and regional air temperature trends. 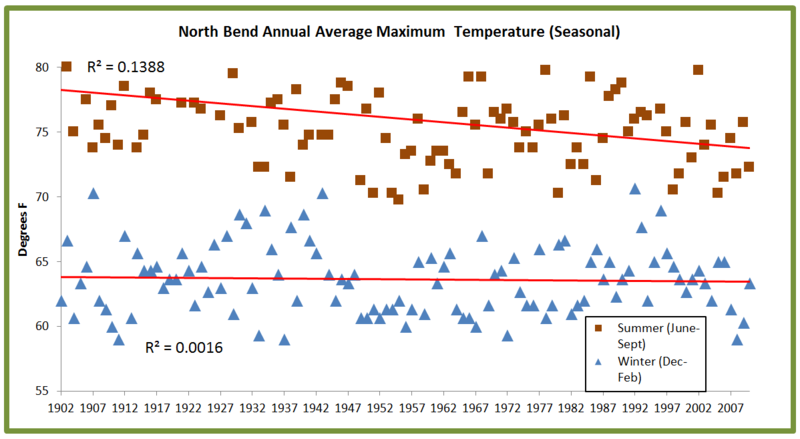 Annual average maximum temperatures in North Bend have dropped since 1902; the biggest drop being in summer max temps. 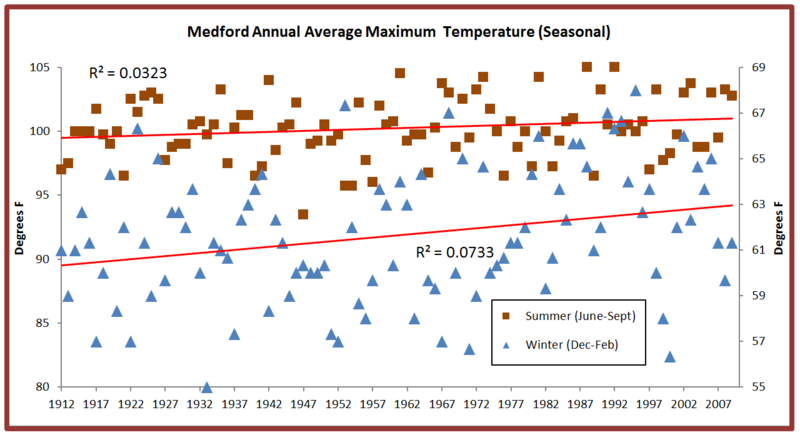 Maximum temperatures have increased inland at Medford, OR. The temperature difference between the valley and the coast is a key controlling factor regulating summertime north winds on the coast. 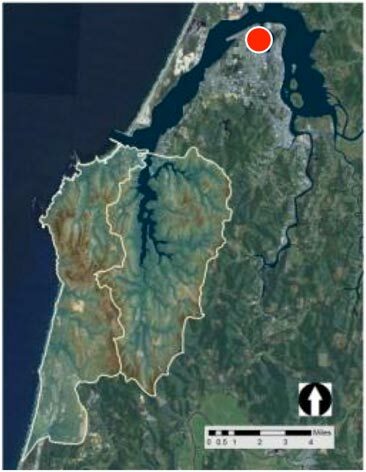 Strong north winds cause coastal upwelling which brings cool ocean waters to the surface along the coast, cooling coastal areas and frequently produces fog.